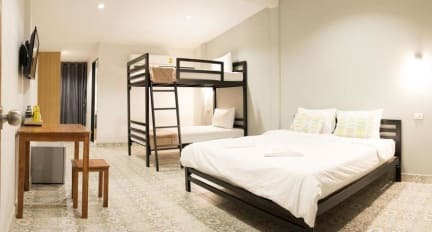 Warmwell Hostel i Kanchanaburi, Thailand: Reservér nu! Warmwell Hostel is a comfortable, clean, cozy and friendly hostel. The hostel is located in the heart of Kanchanaburi. Also the hostel is close to the River Kwai and the famous Bridge over the River Kwai. 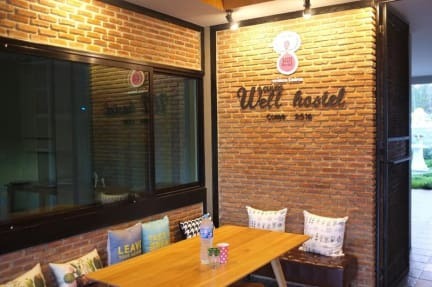 Warm Well Hostel offers many room types which are twin room, double room, triple room and family room. Rooms come with a TV with satellite channels. Rooms are equipped with a private bathroom. For your comfort, you will find free toiletries and a hair dryer. The hostel also provides a shared kitchen and bike rental. 4. Payment upon arrival by cash and Card. 2% service fee if you pay by card.